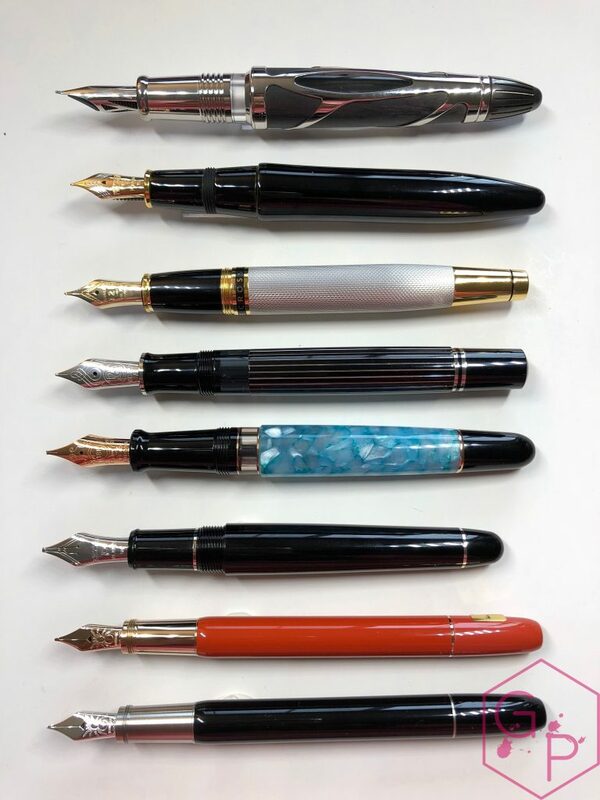 Let’s look at one of my grail pens; I’ve included it in the series on my personal pens too. 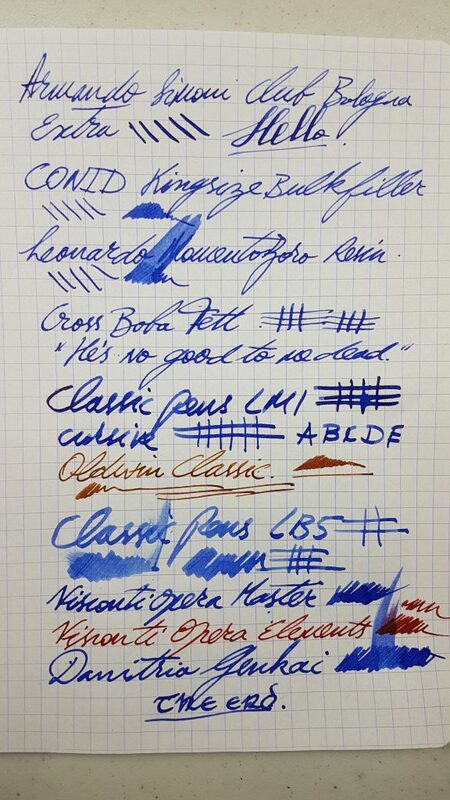 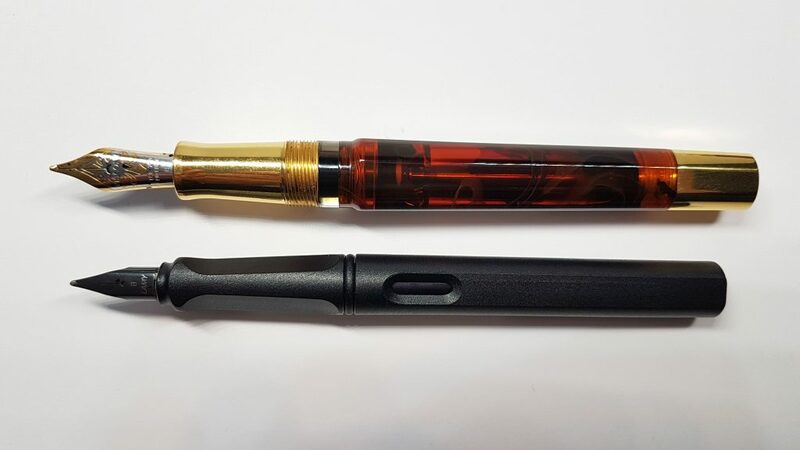 This entry was posted in Fountain Pens, Reviews and tagged 18K Gold Nib, Broad Nib, Dual Reservoir Power-Filler, fountain pen, opera master, Power-Filler, Tobacco, Tortoise, Visconti on August 27, 2018 by sbrebrown. 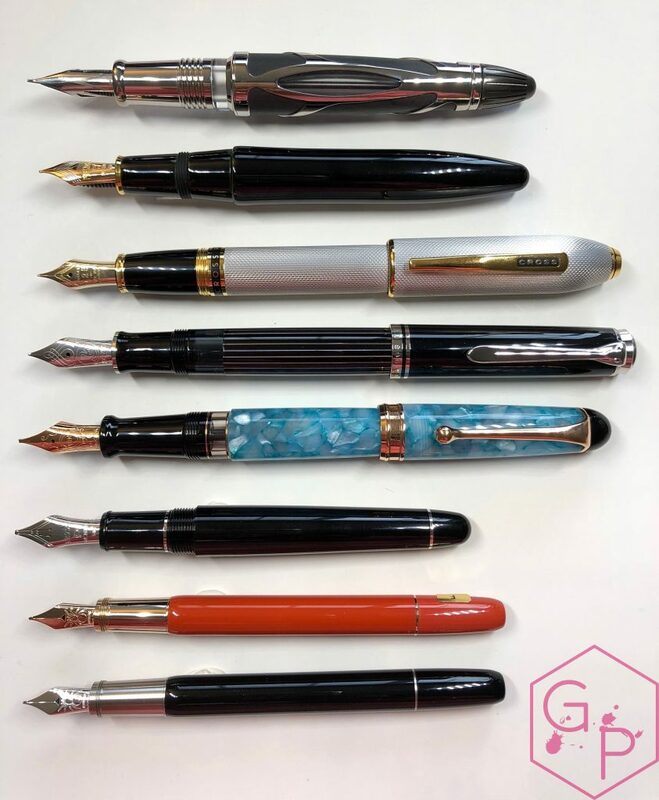 This entry was posted in Fountain Pens, Humour, Information, Serious Nibbage and tagged 23k Palladium nib, fountain pen, Fountain Pens, GourmetPens, Palladium Nib, Power-Filler, Serious Nibbage, Visconti on December 15, 2017 by Azizah Asgarali. 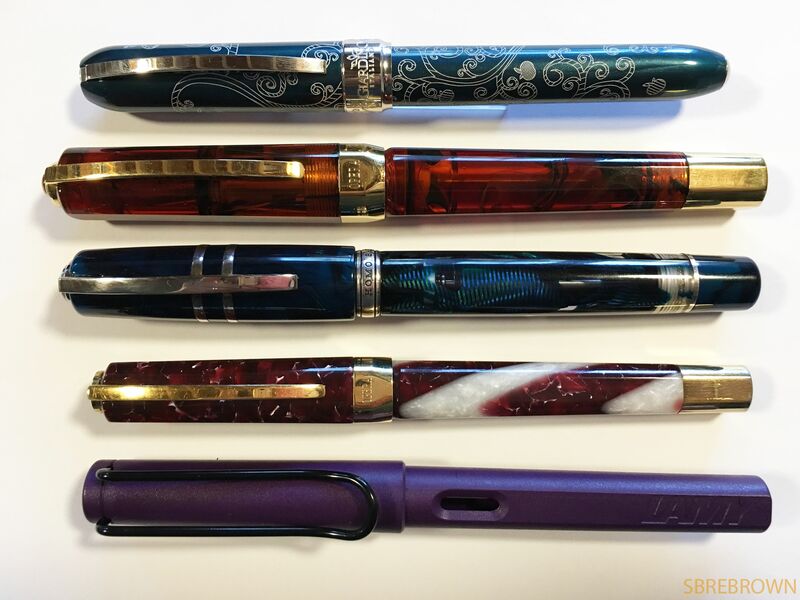 The Kakadu, very similar in size to an Opera Master, was part of a trio of pens exclusive to the Australian market: the Australis, Didgeridoo, and the Kakadu. 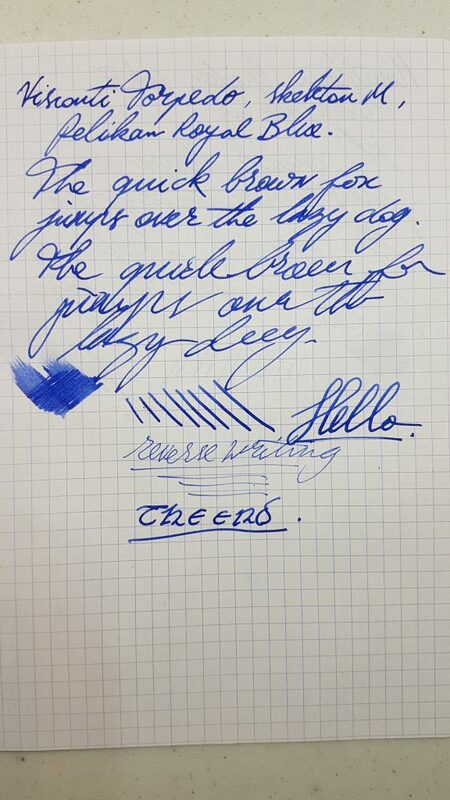 It’s a wonderful, well-balanced pen with a great oblique stub nib. 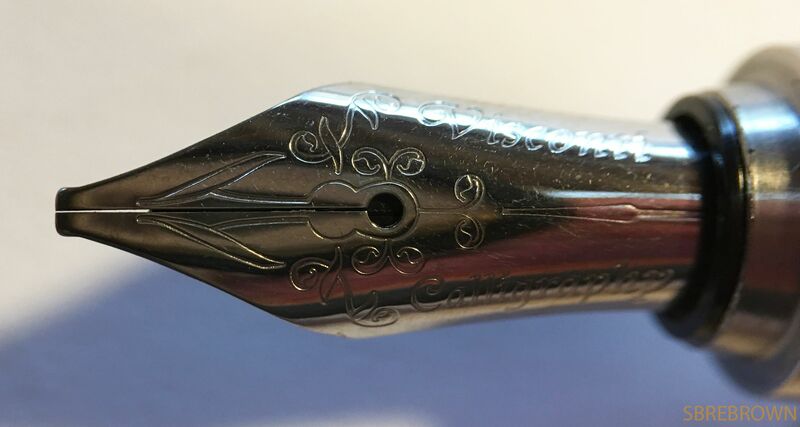 This is the pen I took with me when I defended my PhD thesis due to its great balance and reliable writing qualities. 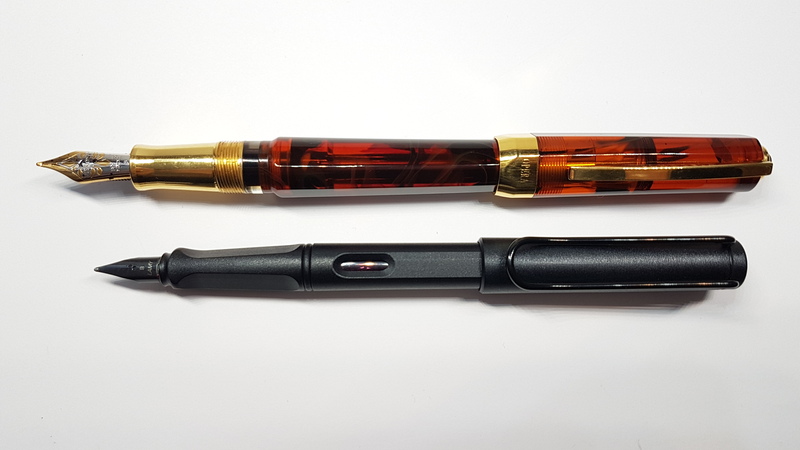 I have not yet recorded a full review of this pen but I will do so as soon as I can. 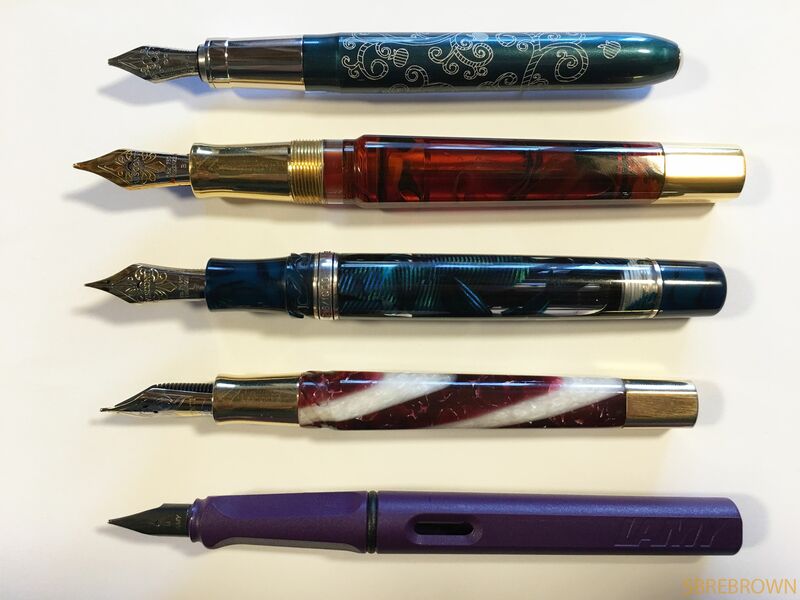 This entry was posted in Fountain Pens, My Personal Pens, Reviews and tagged 23k Nib, Kakadu, My Personal Pens, Palladium Nib, Power-Filler, Visconti on November 29, 2017 by sbrebrown. 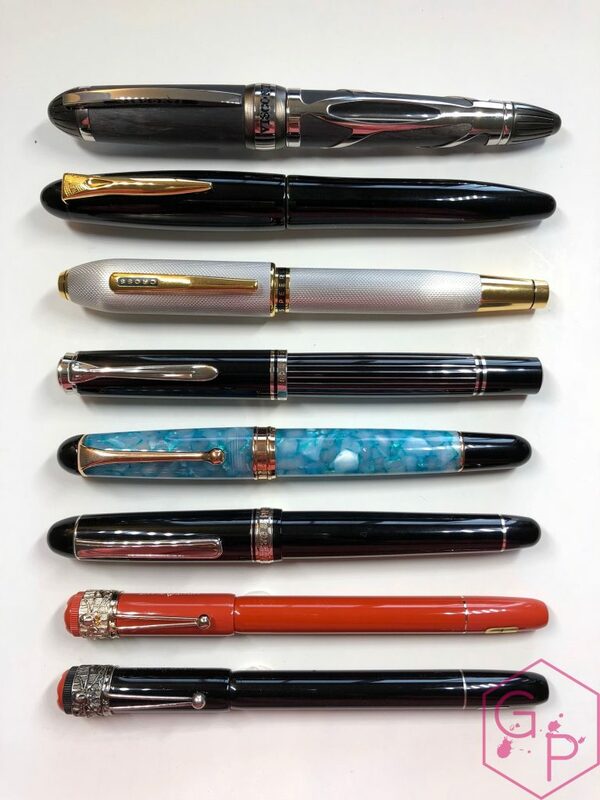 The Visconti Speakeasy is both hideous and magnificent at the same time and I love it. 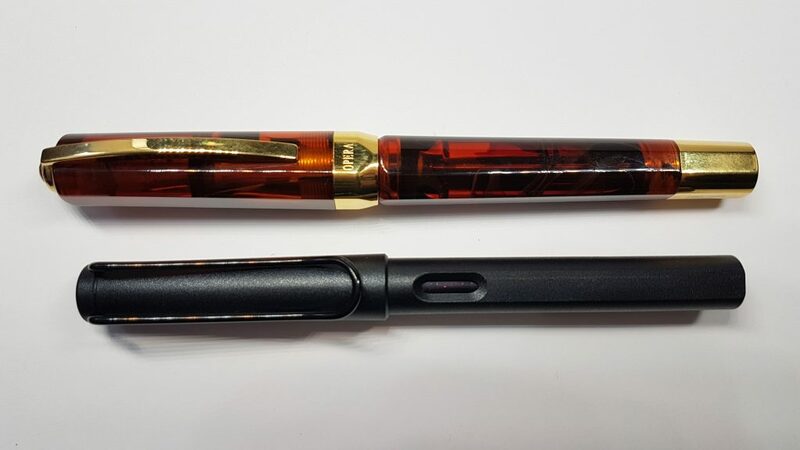 Yes, it has a booze indicator and a hidden compartment for alcohol, but it’s also a beautiful oversize pen made from stunning celluloid. 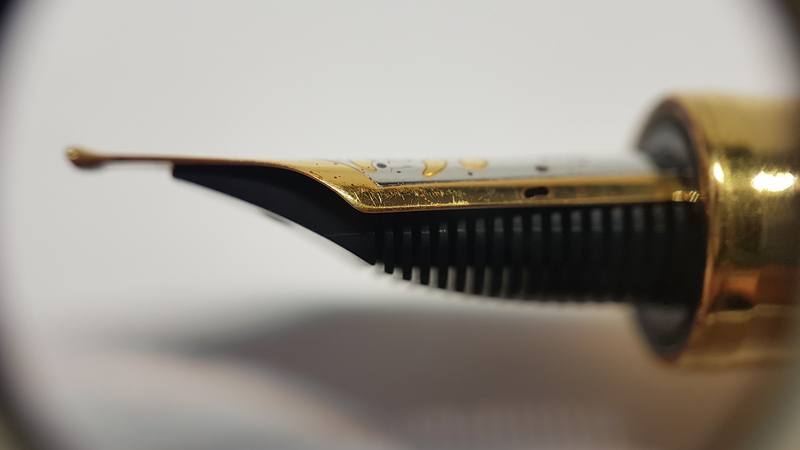 With its stubbed double broad nib, it’s an absolutely pleasure to use. 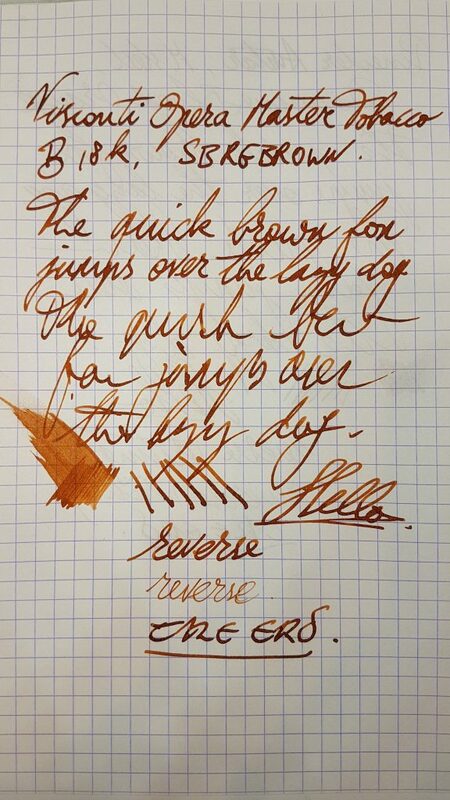 I have done a full review of this pen too. 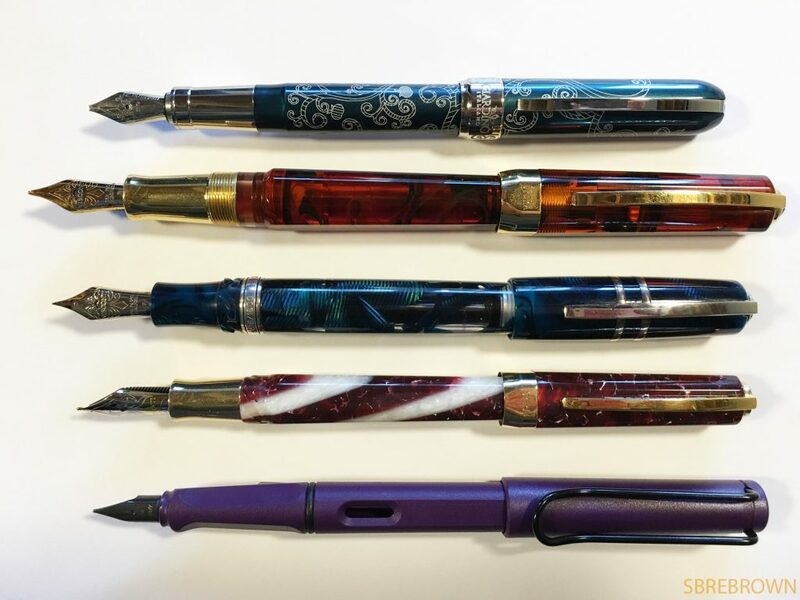 This entry was posted in Fountain Pens, My Personal Pens and tagged 23k Nib, Cartridge-Converter, Celluloid, Double Broad, My Personal Pens, Palladium Nib, speakeasy, Visconti on November 15, 2017 by sbrebrown. 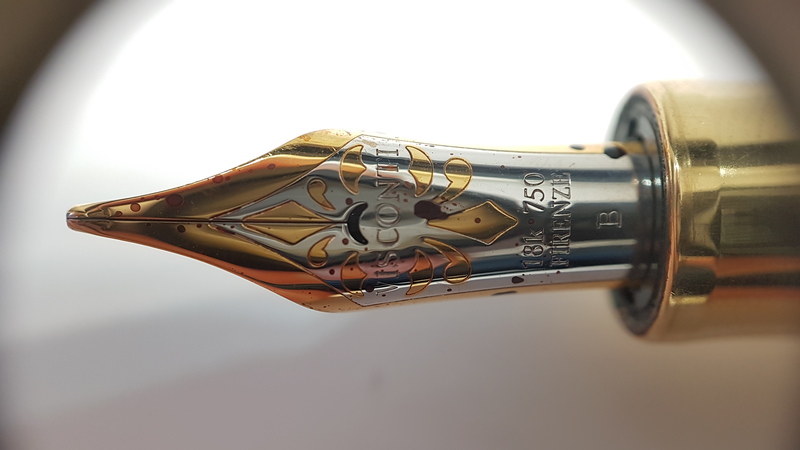 This pen was sent to me by Susanna of Giardino Italiano: made by Visconti, it is exclusive to that shop, and it was created to commemorate the shop’s 20th anniversary. 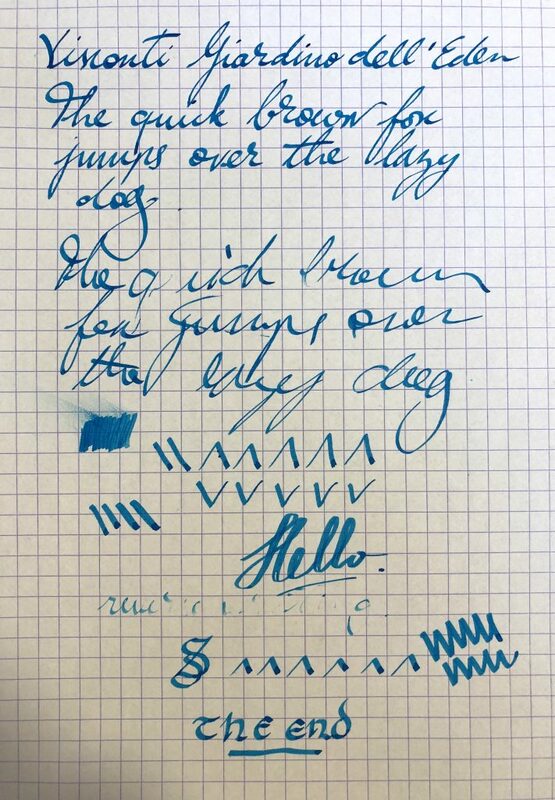 This entry was posted in Fountain Pens, Reviews and tagged 1.3 mm Stub Nib, calligraphy nib, Cartridge-Converter, fountain pen, Giardino dell'Eden, Giardino Italiano, Steel Nib, Stub Nib, Visconti on October 30, 2017 by sbrebrown.